I suspect any Spaniards reading this are laughing. 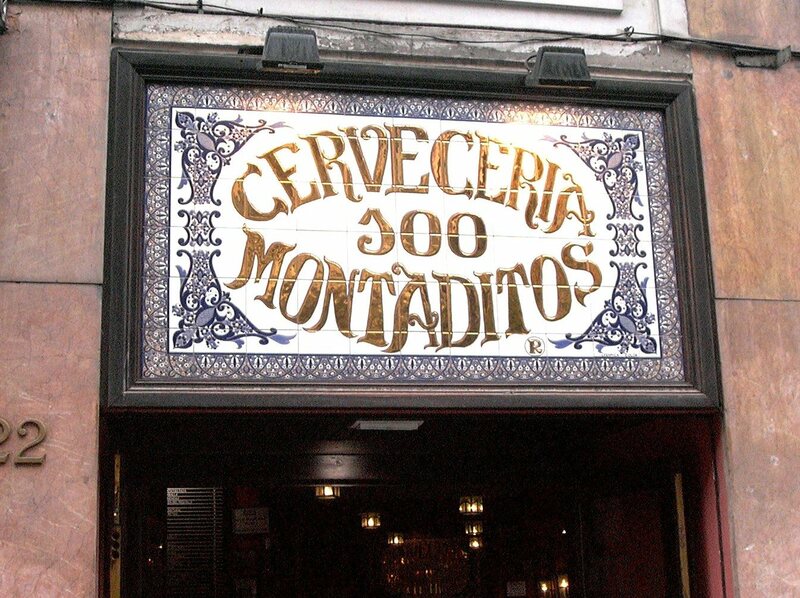 Why, they ask, would someone bother to write a review of Cervecería 100 Montaditos? It’s the type of laugh I’d give on discovering a foreign blogger had wasted 700 words describing Subway or GBK. But let them laugh; for its novelty value if nothing else, this place gets a write-up. Now, who doesn’t like a good sandwich? The benefits of this simple snack are endless. It’s versatile enough to suit every appetite, from a dieter nibbling on a wholemeal tuna-and-low-fat mayo to a ravenous lad feasting on a triple club. The sandwich can cater for any occasion, posing one minute as a sophisticated cucumber-filled triangle, the next as a rough-and-ready doorstop with hunks of Cheddar cheese. It can sum up an entire meal in a single bready package – the egg-and-bacon breakfast sarnie for example, or the annual Christmas special, crammed with turkey and all the trimmings. There’s no better snack for munching on the hoof but it is just as often ordered sit-down with a side of chips.